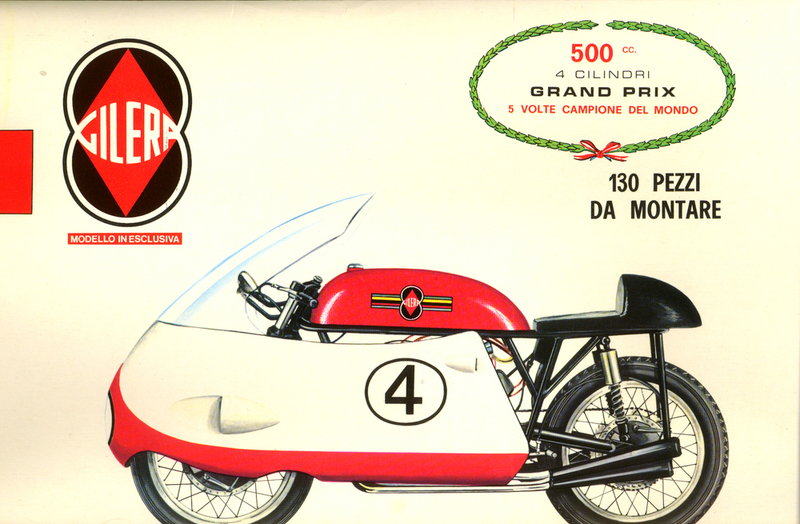 I had been looking for Gilera models for quite some time - finally I found one on eBay. These models are rare but occasionally one will turn up. Not trusting my model building skills on a hard to find (and expensive) kit I turned to a pro, my friend Chris. 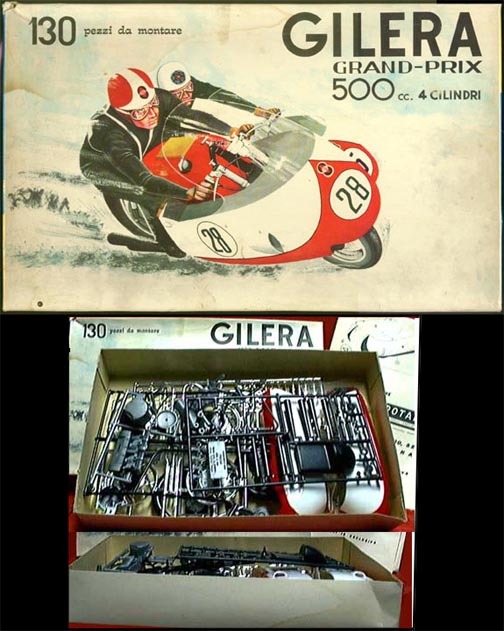 He did a fantastic job building a model that he admitted was not the best quality to begin with. Unfortunately these pictures do not do his paint job justice! Click on What's the Big Idea to view his artwork.